Have I got a selection of Summer wines that go great with grilling! You’re spending more time outside (do you have the citronella candles lit? Ugh! ), and you’re firing up the grill more than you’re using your kitchen. It’s lovely to sit outside on the deck and eat good food and enjoy a chilled glass of wine. Here are a nice selection of reasonably prices summer wines. I’ve been in love with this wine label since the day I got married. Okay, maybe even longer. It has a light-bodied and vibrant flavor with bright apple, lime and orange tones. Personally, I like to serve this with grilled fish. Maybe something with a citrus glaze. Everyone who knows me knows I’m a sucker for Prosecco. And you can find this reasonably priced wine almost everywhere. Its flavor is appealing with a mix of stone fruit, flowers and apples. Grilled chicken braised with a spicy and bold BBQ sauce. This wine can hold its own with the zesty flavors. You can’t go wrong with a sauvignon blanc, ever! It’s a wine everyone will love. Guava, passion fruit and peach flavors will delight your taste buds. I’d pair this with pork chops braised with honey orange ginger glaze. Although I prefer white wine to red in the summer, I highly recommend this Malbec with rich berry, herb and vanilla flavors. I love a good Malbec with salmon. I would also recommend a deliciously tender filet mignon or even a New York strip steak. 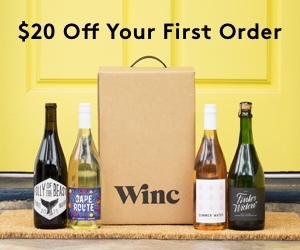 If you love wine, and you love trying new flavors and labels, maybe a wine subscription is right for you. Subscription services like Wine Club will select the perfect wines for the season and send them right to your door. And now Wine Club is offering a $20 discount. Check it out by clicking the image.